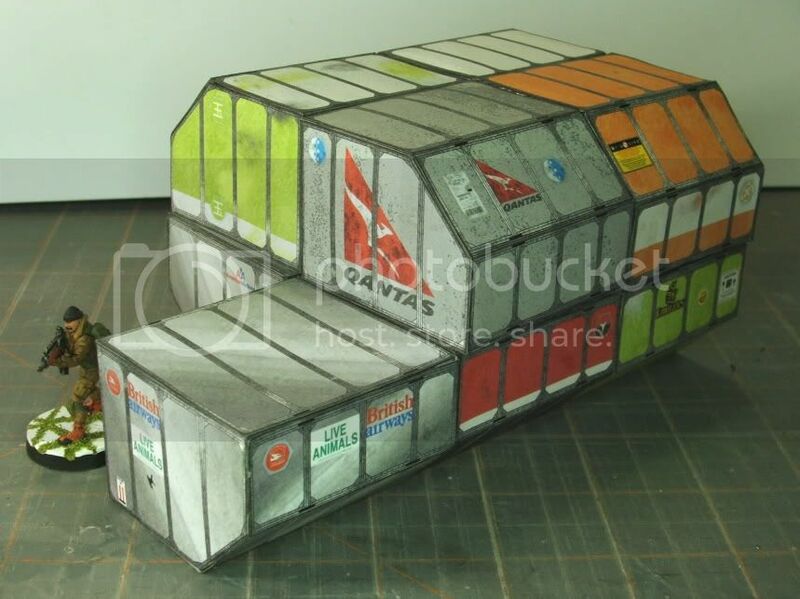 These are the cargo pods that slide into passenger planes. I have 12 medium pods and there will be smaller types that will come next. 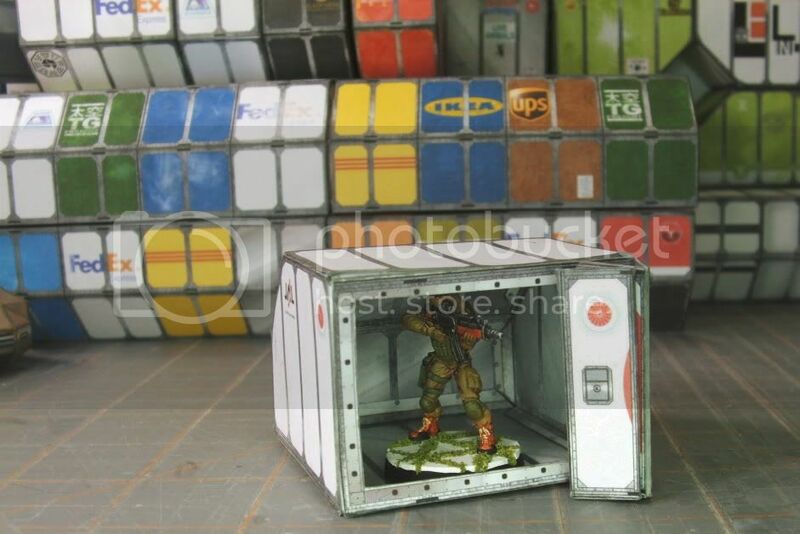 Note: Because of the the non-cube shape, you do need to add weight to them if you want to put miniatures on top of them. Otherwise they will tip over. Those are pretty dang cool. 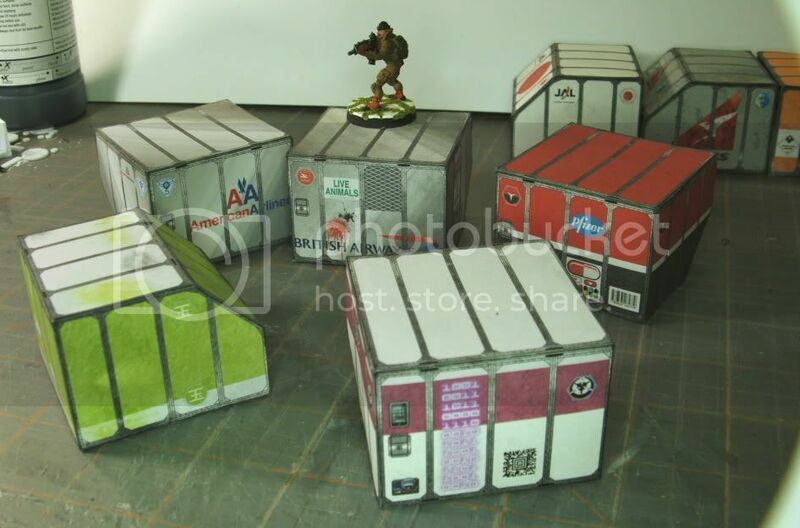 The fact that they are not just cubes makes them cool, but the textures are fantastic and elevate it to the next level. Great job, Tommygun! I have already got these printed out and ready for the CraftRobo. 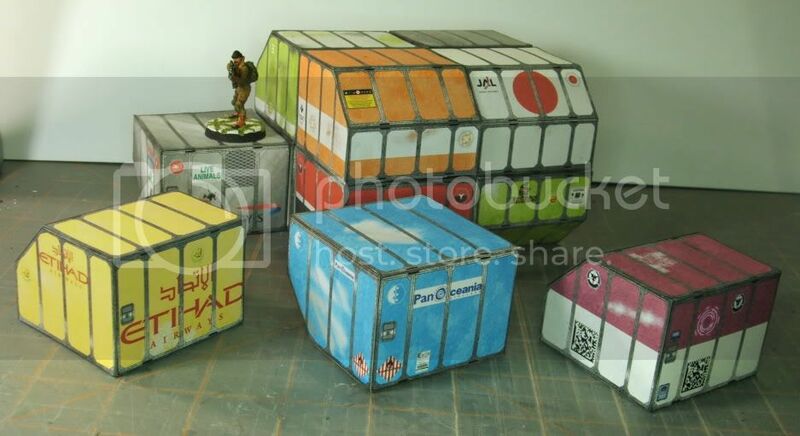 What are the origins for the unnamed containers? 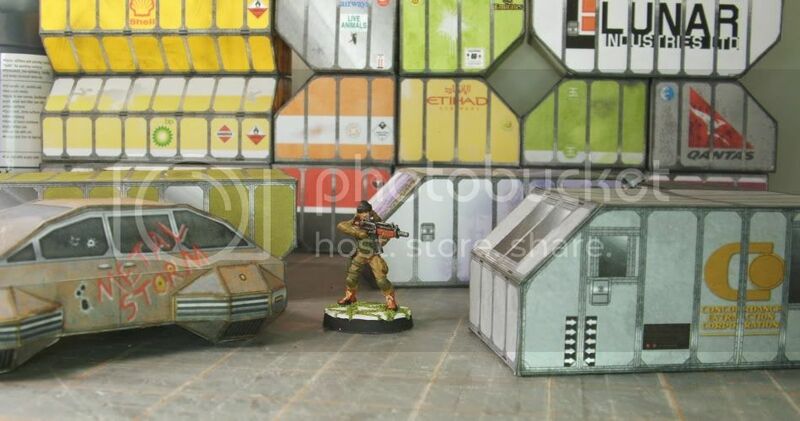 They all have little hexagonal logos from different factions of the Infinity game. 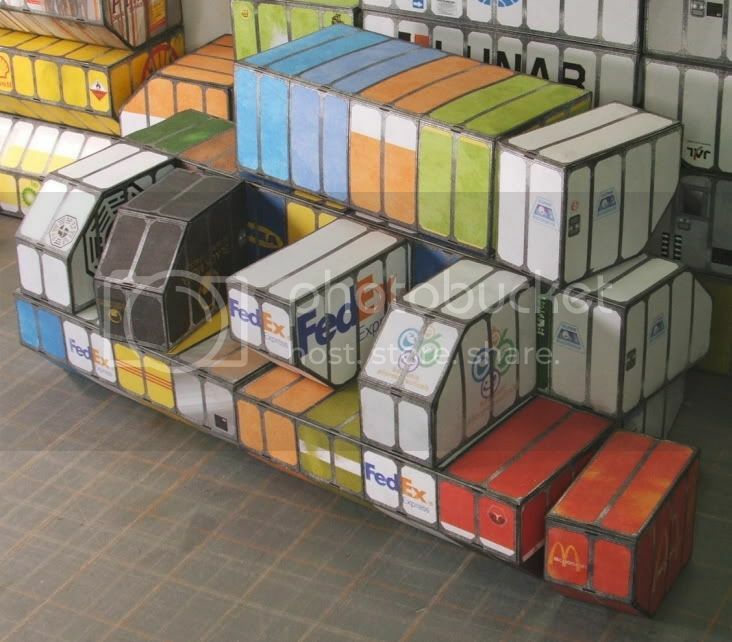 The next containers will have various company names on them. Oh that makes sense! Can't wait for more. There's any chance that they can be stored flat and "mounted" on the fly when needed? I'm sorry there is no easy way to do that Parduz. I think you could adapt them to use that match box approach I was working on for Habitat 67. That has some draw backs to it, as the corners or seems wont always be fully closed. 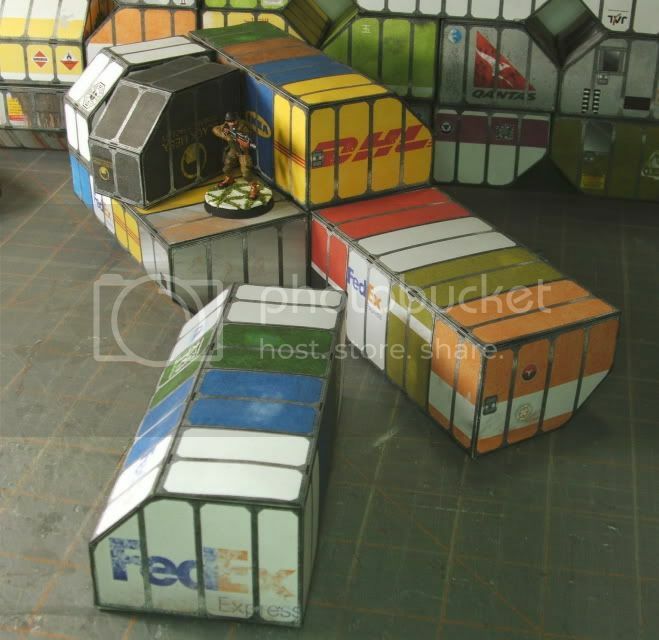 You could also do a slot and tab approach like Topo did with his storage containers, but as they are not all square it will be more challenging. I thought you might be interested in this document that I found on air cargo contain dimensions. It might give you some ideas. That is a nice reference sheet. 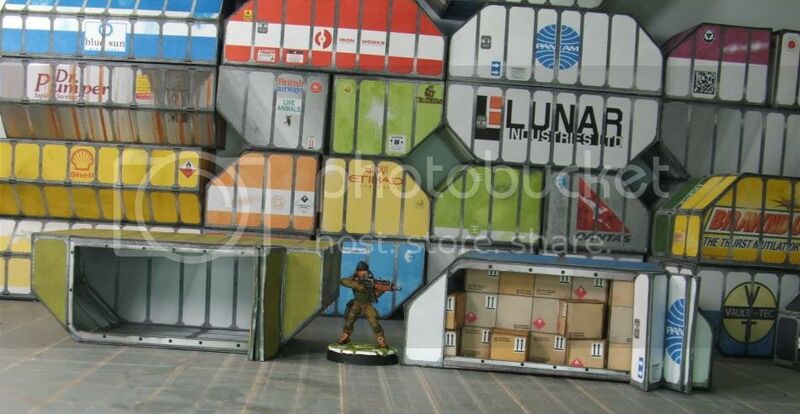 I'm about to start on a large double wide container. Here is the beginning of the small ones. Thanks guys, I like the storage hulk idea. ...or a game based on forklift races. The last type of container. 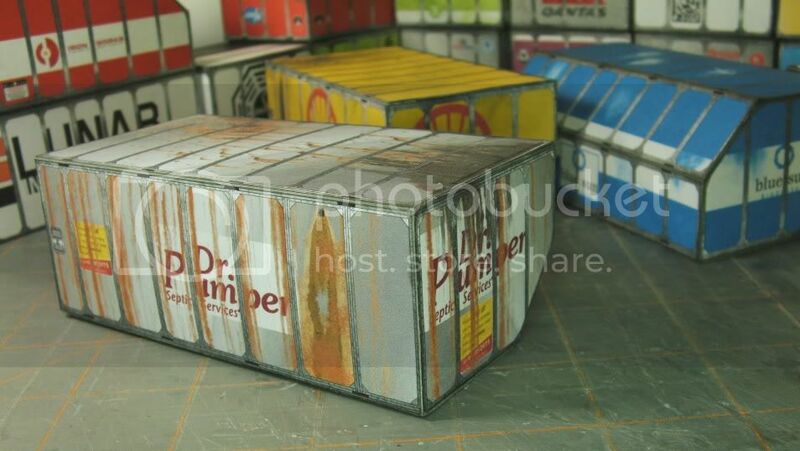 ....what about an additional "texture layer" to make them very rusty, as if they were abandoned from long time? what about a "funeral" container? i mean: dedicated to dead soldiers transport? When you designed these, did you have a specific Transport in mind? If so, I'd like to see it. 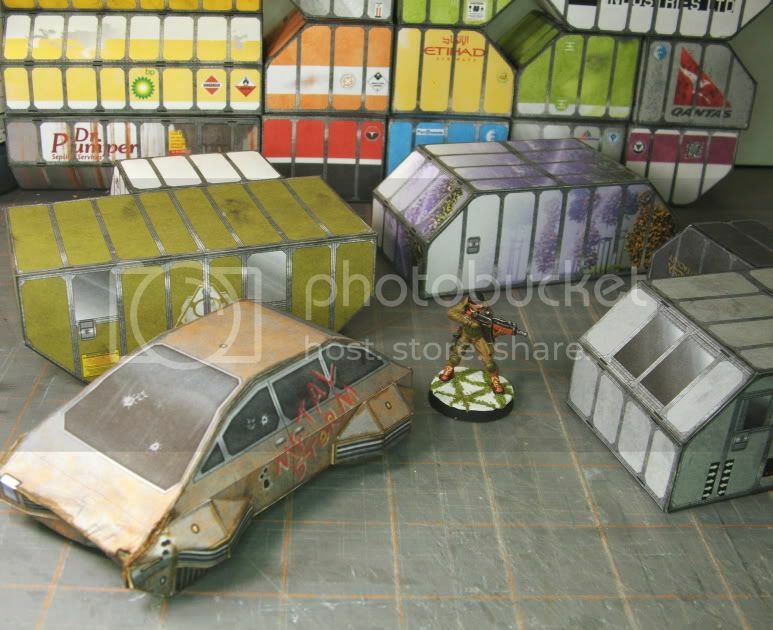 This would definitely be welcome on Topo's Industrial Game Mat, as well as being good for general use. I like Parduz's ideas there. Even in the future, I think they would generally want to send their buddies' bodies 'home'. Rusted hulks would also be quite handy. I think it would be similar to today in that they would not want to take the trouble to ship empty containers back to be re-filled. There would be some Triangular Trade going on, but especially on planets held for strategic location, there should be hulks used for just about anything by locals and colonists. I don't think I said it, but these look great and will be very useful. I'll be doing some small hexagon crates at some point. I think the size of those would be more correct for coffins. I'll make up some then. 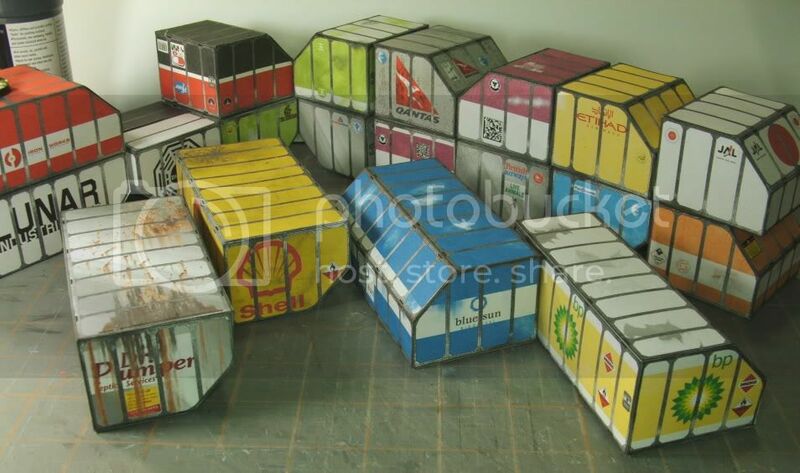 These are pattern after the container used by modern aircraft. 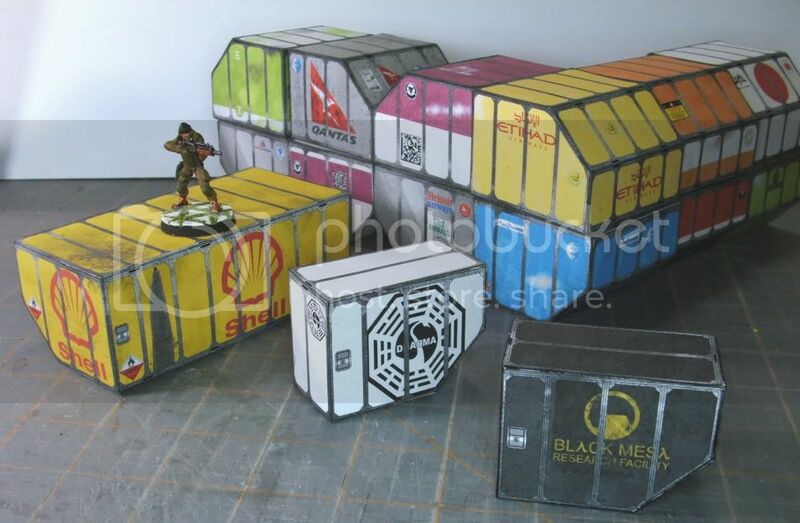 They're made of aluminum, so no rust, but I did do a set of defaced containers that are beaten up and dirtied pretty good. I also plan on doing an upgrade so you can add an interior to them. This will allow the doors to be left open, but also, you can model heavily damaged ones that have been ripped open. I will look into making a few as houses. Looking great Tommygun! Can't wait to get these too! I just uploaded three more pdf files at my site. I just need to finish the small containers and maybe the interiors? Dr. Pumper ... too funny. Here are the Hab units and I also did a greenhouse which turned out well I think. I'm thinking I'll turn this into a diorama for the contest. I just NEED MORE BOXES! Nice mod on the DMC-Northstar HL 300. Is the car a creation of yours as well ? The Small Air Container pdf is getting closer. This is some of what will be in it. 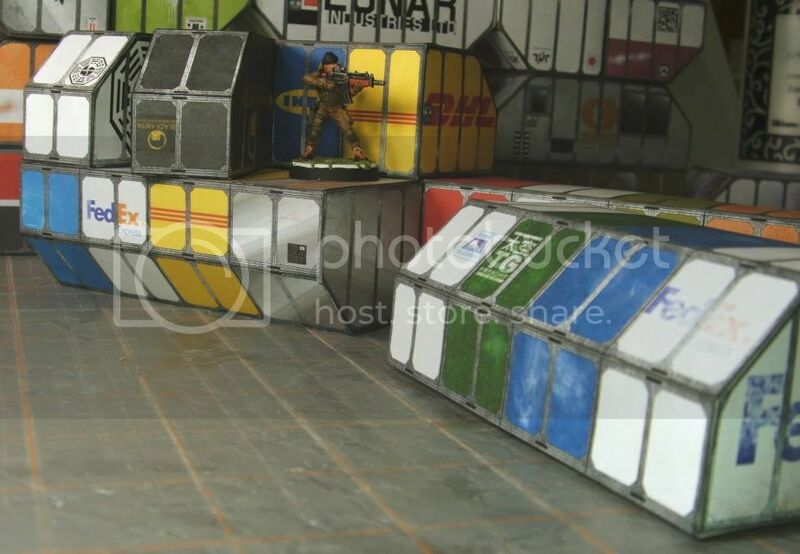 It will have about 18 small boxes and four box groupings. The group boxes are for filling out large box formation quicker. Looks great, can't wait to put these together. 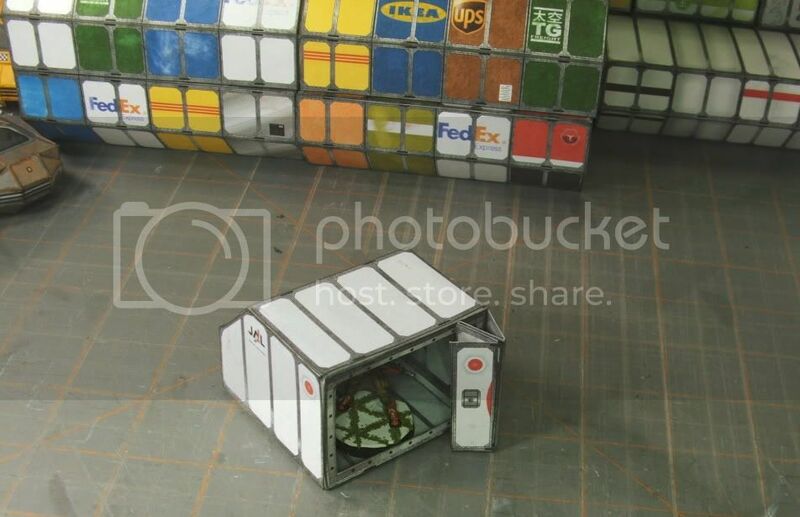 Small Air Containers are finally up on the site. There are 19 small ones in one pdf file and 8 grouped small containers in a second pdf file. Well I have one interior done for the medium pod. 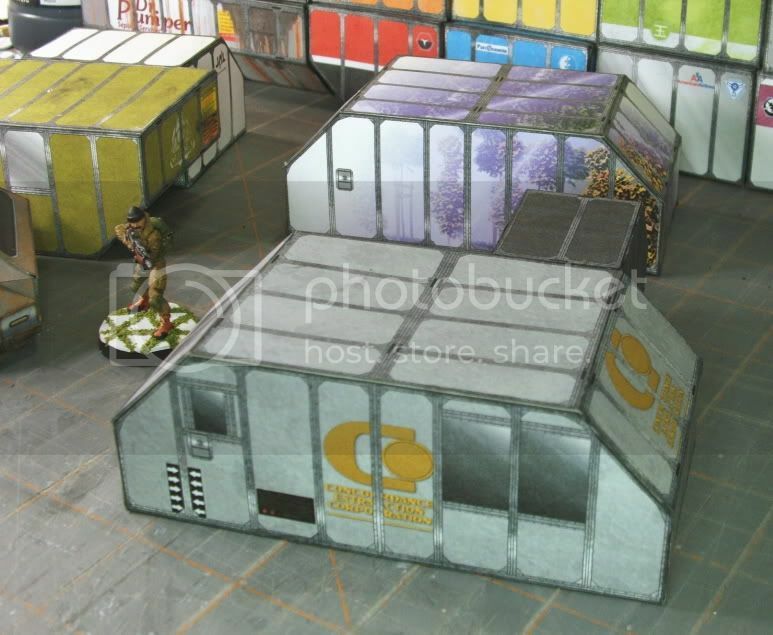 I'd like to get a second one for the big pods and also add some boxes for the inside of it. Lego Construction got a smile out of me. 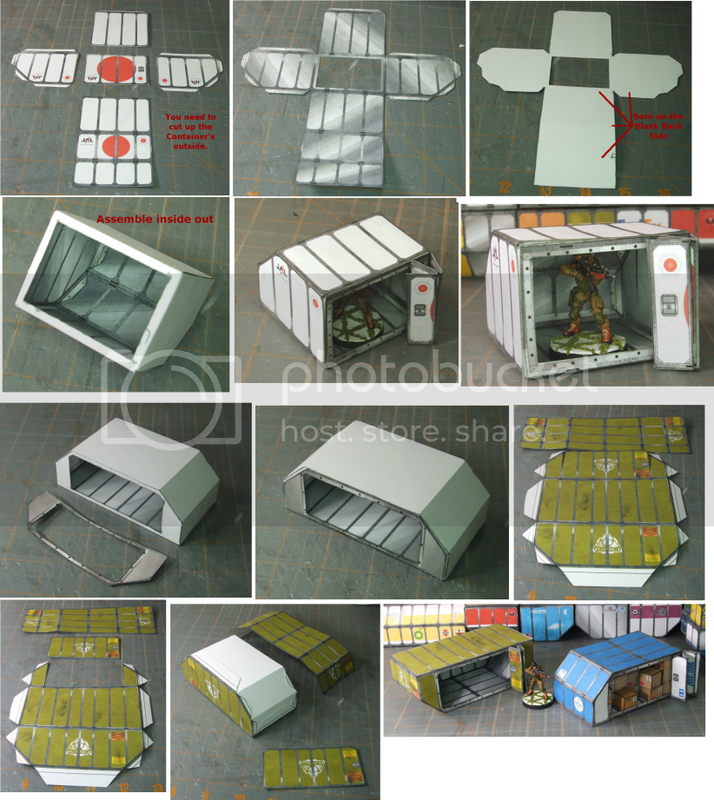 I posted the inside of the containers pdf file at my web site. It also has cargo for it included.